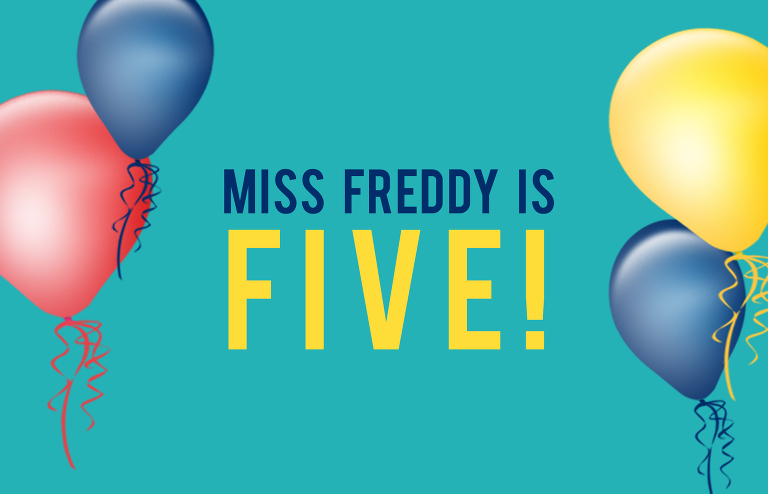 Can you believe Miss Freddy is FIVE YEARS OLD?! A brief history: I launched my photography business in 2010 when we lived in Minnesota. I photographed my first wedding that summer and eventually grew my client base + opened a cute studio space. In 2013 we moved to Seattle and I brought my little photography business along for the ride. I used the move as an opportunity to completely rebrand my business, retire from weddings, and focus exclusively on my FAVORITE thing- photographing kids and young families. Miss Freddy was born in June 2013! In 2016 we moved once again and I started my business from scratch, but this time (hopefully) for good…. in Golden, Colorado! Every year I celebrate Miss Freddy’s “birthday” with a “Freddy’s Favorites” contest and a fun giveaway. Let’s get to it! To celebrate another year of business, I selected one favorite photo from each of my sessions over the last year [mini sessions not included]. The photos have been shared on my Facebook page, where you can vote for your favorite image. The family with the most ‘likes’ by Sunday, June 24th at 8pm MST will win a FREE MINI SESSION here in Colorado! Head on over to the Miss Freddy Facebook Page to cast your vote! This promotion is in no way sponsored, endorsed, administered by, or associated with Facebook. WIN A REMOTE DIGITAL PHOTO ORGANIZING SESSION WITH MISS FREDDY! This is quite the prize, friends! Valued at $250! The lucky winner will receive a REMOTE DIGITAL PHOTO ORGANIZING SESSION. Five total hours of hands on digital photo organizing with Miss Freddy, no matter where you live in the WORLD! I can’t wait to help you organize your photos, get them safely backed up, and accessible from any device!